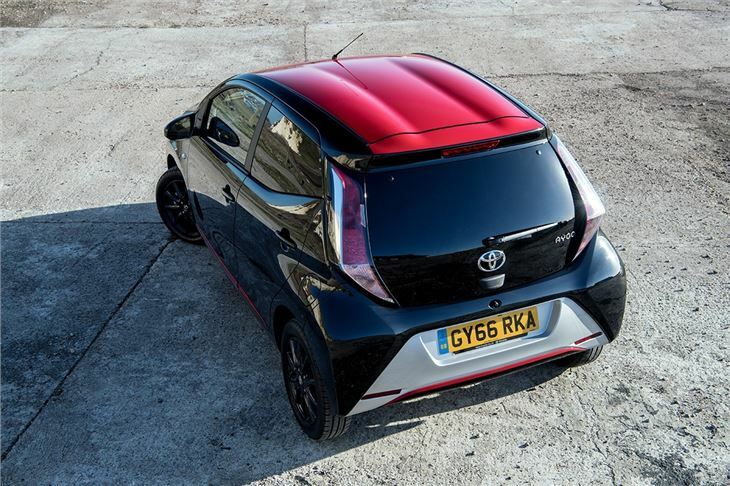 The Toyota Aygo is a good little car – but then so are its numerous rivals. 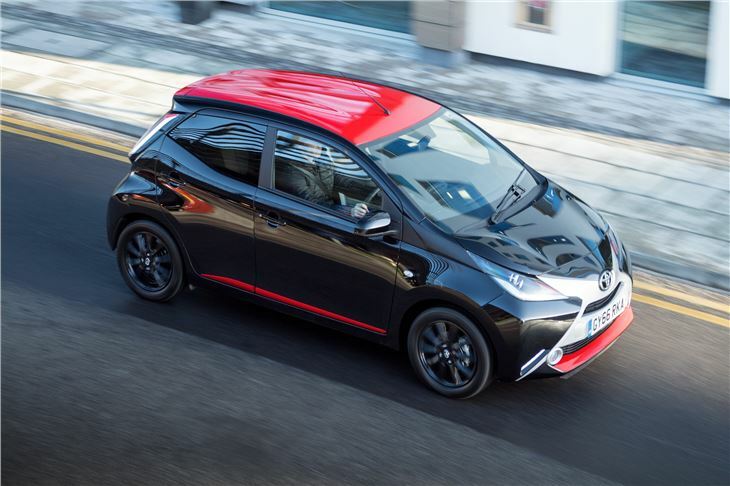 So, to help coax buyers away from Skoda Citigos and Hyundai i10s, Toyota has added the X-Press trim level, which livens up the already aggressive styling with some fancy red bits, while keeping the price at an affordable £11,935. There are ten spoke alloy wheels finished in black, while the interior has dashboard inlays match the exterior paint. 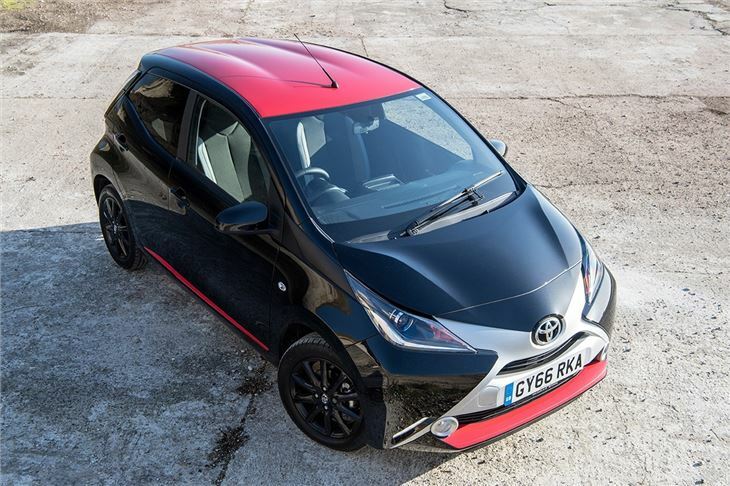 The result is certainly distinctive, especially when paired to the pictured black paintwork – although if you want it, or any other colour aside from the standard gloss white, you’ll have to spend an extra £515. You won’t have to spend much more though, since the level of standard equipment is good. There is a seven-inch touchscreen system, reversing camera, Bluetooth connectivity, DAB radio, climate control, an AUX input, USB socket, steering wheel audio controls, auto lights and a speed limiter – pretty much all a driver could want. 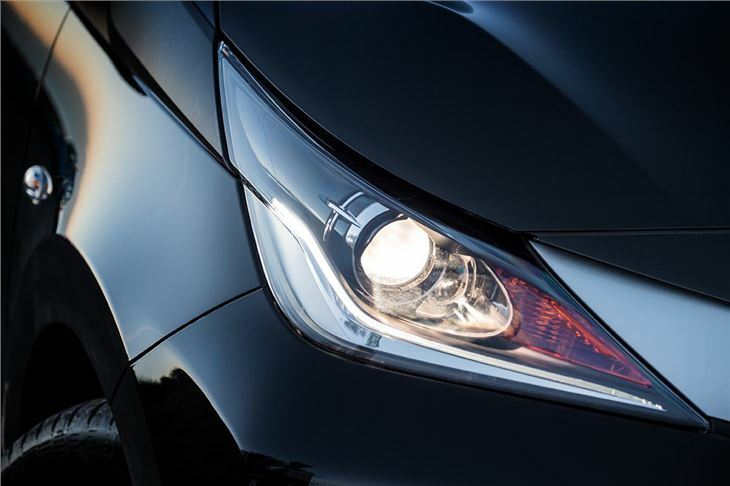 There are a few options – Toyota Safety Sense costs £375 and adds auto emergency brakes and lane departure warning, while Outshield costs £400 and adds various protective bits and pieces, including mudflaps, a boot liner and parking sensors. 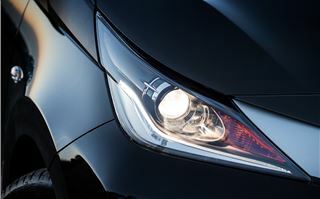 You can also specify an automated manual transmission for £700 and navigation for £400. X-press models are only available with the more practical five-door body. There are two rear seats and they’re OK for such a small car, but leg and headroom is tighter than in a Volkswagen Up. The boot is small too at 168 litres – versus 251 litres of space in the Up. In real-world terms, it’s not a big issue – you’ll still get your shopping in. If you have bigger things to carry then the Aygo is hardly ideal, but the rear seat backs do fold down for smaller flatpacks and other bulky items. It works, but the load lip is quite high and the load area isn’t flat with the seats folded down. Handily they spilt fold, so you can have a passenger and expanded load space at the same time. Material quality isn’t bad at all, but if you’re expecting plush, soft-touch luxury you’ll be disappointed. 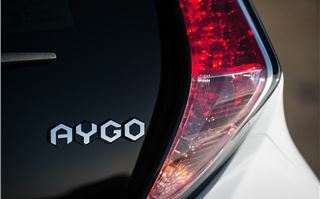 The Aygo is hardwearing, though and it has some nice flourishes like glossy, body-coloured details. The instruments are clear and the switches feel sturdy, plus the touchscreen system is easy to understand and can be set up in a variety of vibrant colours for an extra little bit of customisation. 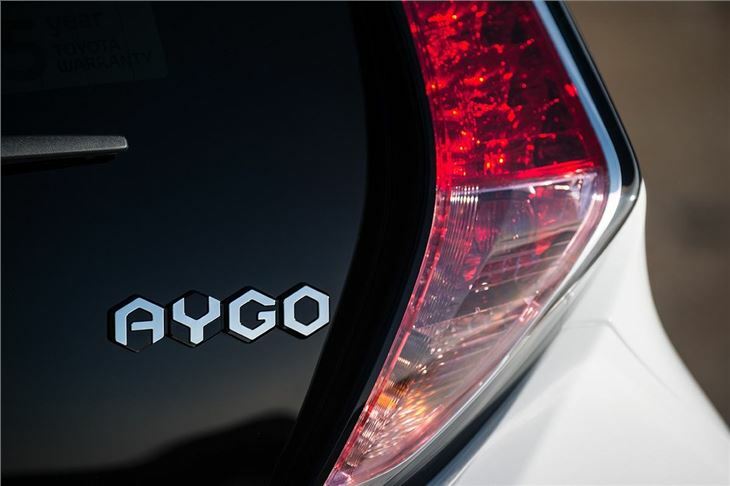 All Aygo models are powered by a 1.0-litre VVTi petrol engine with 69PS. It might not be particularly potent, but it’s surprisingly capable even if it does need to be worked hard. 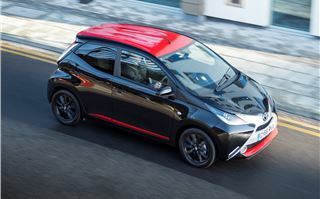 It sounds good, too, plus it has low running costs thanks to 95g/km emissions and official economy of 68.9mpg. 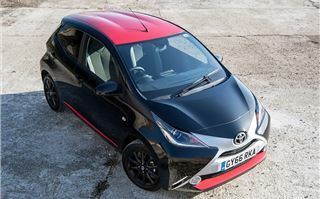 The buzzy, characterful engine gives the Aygo plenty of personality and the handling is great fun, since the car is so light and nimble. There is a bit of body roll in corners and the steering isn’t quite as sharp as in a Volkswagen Up, but the Aygo still has what it takes to put a smile on your face on a fun back road. It isn’t too bad on the motorway either, with a hushed engine at typical cruising speeds. Overtaking requires a bit of planning and forethought, but that’s par for the course with any little car like this. 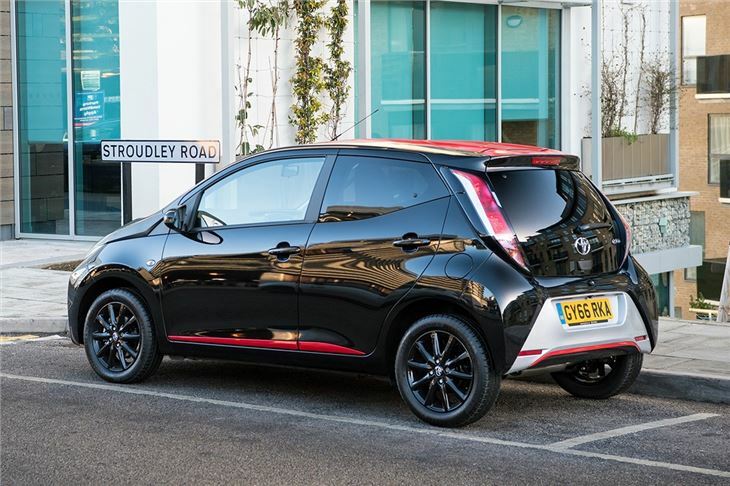 That said, the Aygo’s sister cars – the Peugeot 108 and Citroen C1 – are both available with an 82PS 1.2-litre engine that makes for better motorway performance. 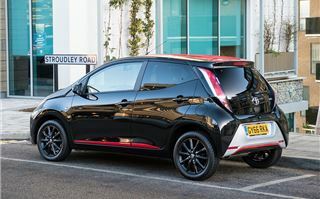 Both of those cars have similar pricing, too – and there are other cars that do everything the Aygo does only better, including the Volkswagen Up, SEAT Mii, Skoda Citigo and Hyundai i10. That might lead to a lot of head scratching and confusion if you’re still not sure which little hatchback you want the most. 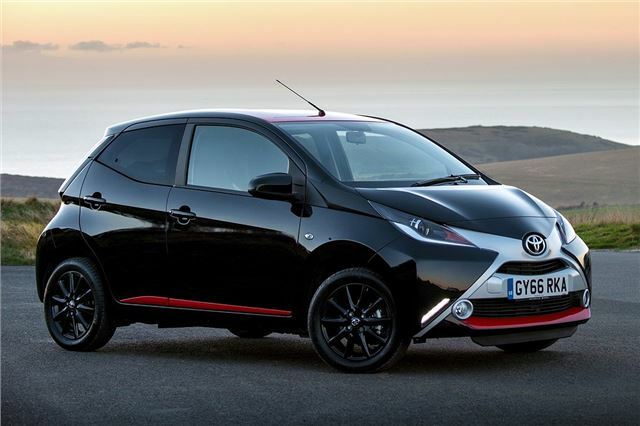 But if you’re sold on the bold looks, there’s a lot to recommend with the Aygo X-Press. It has personality, generous standard equipment, affordable running costs and it’s in a low insurance group, so for budget-conscious or young drivers who don’t want to settle for something dull and boring, it’s a great little car.